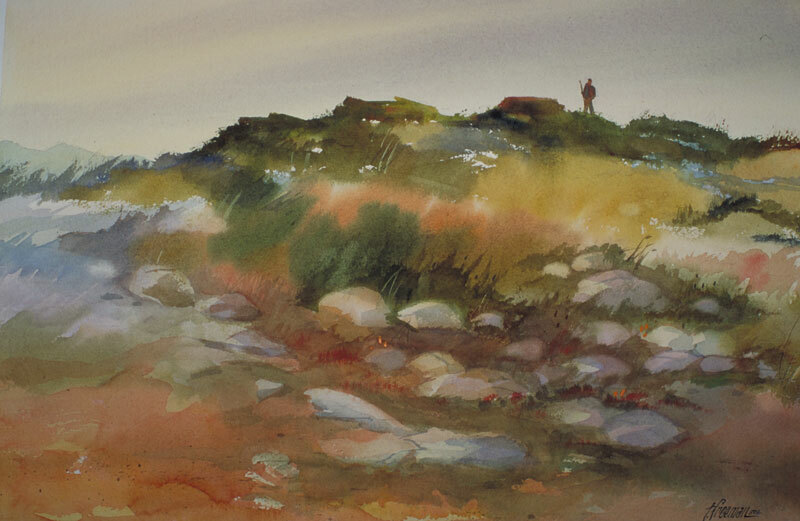 Thomas Freeman Original Watercolor Painting: "Ocean Stroll"
I wanted to create a painting of the Pacific Grove area highlighting the interesting rock and grass formations found there. This comes from a combination of photos and sketches I had made in the area. There's soft lighting and a kind of moody sky. I kept the rocks sharp-edged and they stand out against the sky. The grasses are softer in the middle.